Graham Taylor is full of praise for parents who support their kids in grassroots football, but calls on the FA to support those parents who want to become coaches. 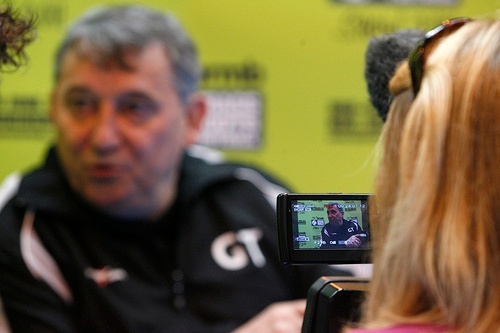 Former England manager Graham Taylor has praised parents for the important role they play in grassroots football. The Watford chairman, who is a long-time supporter of grassroots football, was discussing the role of parents in the game at The brmb Grass Roots Football Show in Birmingham earlier this month. In a debate entitled 'Are parents running the game? ', Taylor rejected the suggestion categorically. "A lot of times, parents get criticised for trying to live their lives through their children, but I happen to believe that is only a small percentage of parents," he said. "I don’t buy into the idea that parents are running or indeed, as some might say, ruining the game. Parents have a great role to play in the game." When the Football Association launched their Respect Parent Guide in 2009, the problem of overbearing parents was highlighted in this video starring Ray Winstone. But Taylor believes that the parents who behave in this manner do a disservice to the majority of grassroots football parents. "Yes, there is a small minority who stand on that touchline and they want little Johnny to play exactly as they say; they make rather irreverent noises and have a bit of a go. Because one or two do this, there is this feeling that they are running the game. "But they are not. Parents have a massively important part to play. "I know that the majority are there to support their children. They want them to do well, they want them to win. But the most important thing for me is that kids enjoy it." Radio Five Live pundit Taylor, who watches his grandson's under 14s team, is aware of the effort put in by parents across the country. He encourages parents to help out with their child's team, but is concerned that the costs involved will put some people off. "We need parents’ commitment to their children playing the game, to transporting them, to paying the money. "I know what costs are involved. Parents are paying for the kit and paying for the pitches. "Do you want to be a qualified coach? Well, put your hand in your back pocket and find the money. Level One, Level Two, UEFA B and so on... go all the way and you’ll have to find more than a thousand pounds. It concerns me." The entry course for new coaches in England - the FA Level One - currently costs £140. Subsidised rates are often available for Charter Standard clubs and other groups but, according to Taylor, this doesn't go far enough. "I can’t see why, with all of the money that is in the game, we are charging our parents to become a Level One coach," he added. "The FA puts money into the game, but I don't think it’s enough. "There is a colossal amount of money coming into the game. I think that some of that money should directed into Level One. We want to encourage people to get involved in the game, so we shouldn’t be charging people to become a Level One coach." 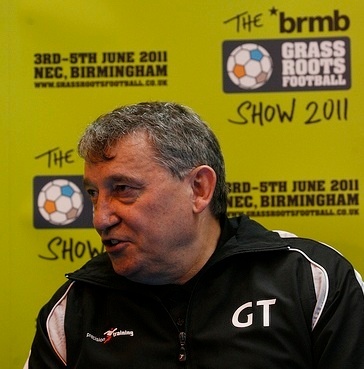 Graham Taylor was appearing at the Grass Roots Football Show. Next year's show will take place at Birmingham's NEC from 25-27 May 2012. Do you agree with Graham's views? Have your say! What do you think about the role that parents play within the game? And what about the idea of free coaching courses? Do the costs put you off getting into coaching? Or are the costs necessary to ensure that coaches are trained to the correct standard? Let us know what you think - have your say in the comments section below!